International Decentralized Association of Cryptocurrency and Blockchain (hereinafter – IDACB) as an initiative for the international co-working and business cooperation is founded to create a community of strong countries` representatives. 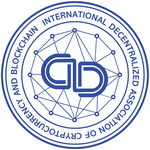 The International Decentralized Association of Cryptocurrency and Blockchain is to work out basic principles of market legal regulation and synchronize law initiatives in Blockchain and Cryptocurrency; to organize community of experts, ideologists and professionals and to protect the market from frauds, scams and unfair practices. The primary objective of the Association is to uplift the Blockchain ecosystem and community and to address the critical skills gap with respect to Blockchain technology. 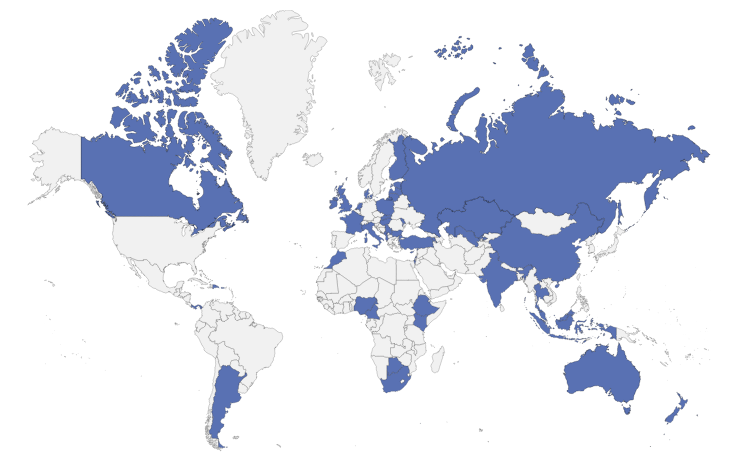 We are proud to unite the IDACB Members from all over the world who work locally, regionally, and internationally to connect with both global leaders and best practice and to educate, develop and empower the international Blockchain community. With you we can accomplish more! We invite you to become a member and join the initiative! Association is a non-profit entity operating at decentralized principles. 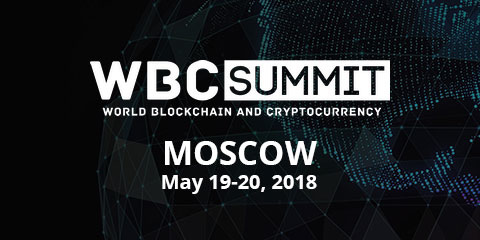 Membership of Association is granted to the national associations of participating countries and by online registration for all blockchain society. Professional community members could be individual members of Association. Choose your membership mode and join the biggest international community! 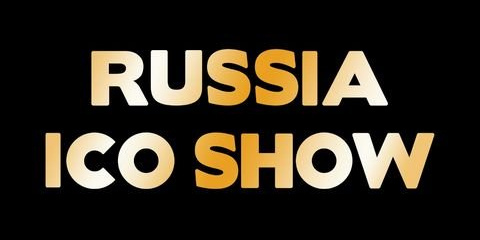 * National associations and large companies representing member countries are exempt from payment of membership fees. The International Secretariat is authorized to accept and consider applications for membership. President (Bahrain), Harvard Business School Club of GCC. Vice Chairman – Islamic Banking Committee Bahrain Association of Bankers. Founder of Skattekedjan – An initiative for a transparent, blockchain-based tax process. CEO of Blockchain Poland Association, Professor at the Department of International Economic Relations and Director of Blockchain Technology Centre at Lazarski University. Co-CEO of BCharity. BCharity is a revolutionary charity exchange based on blockchain technology. Founder of Bloqchain Science, Entrepreneur, Digital Visionary. Specializing in Online Marketing & Web Analytics. Lead Business Development Manager at ICOBox. Practicing expert in crypto economy, helping in ICO token-sales setting up, its Marketing&PR support. ICO Advisor at Viola.AI, Savedroid, Trade.io and BEAT token. Editor-In Chief at Revista Bitcoin. President of Blockchainexperst.io. ICO and Blockchain Advisor. Full Stack and Ethereum/Solidity smart contract developer. CEO EMMARES.IO , blockchain advisor, investor, a member of SASA chamber of commerce management board. Founding Partner Corporate estate & Asset Management C.O.O. Entrepreneur | Founder | ICO Advisor | Marketing and Business strategy. Marketing and Strategy consultant with 12-years experience. Founder of several companies. COO of New York Consulting Group over the last 17 years, a global partner at BDLAW law firm and is an Advisor to various blockchain and ICO projects. Innovative Digital Products Lead – IBM | Specializes in Fintech, Industries, Smart City, Cryptocurrency & Cryptotrading, ICO-projects, Logistics, Banking. Venture Capital Investor| Blockchain & ICO Advisor | Fintech | Innovation | Skilled in Corporate Finance, Banking, Venture Capital, Investment Banking, and Emerging Markets. 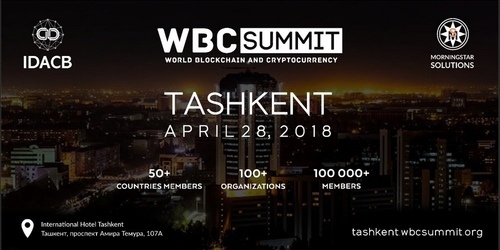 Founder of Crypto Round Table, Head of Business Development at EMX. Entreprenuer, managing director of wealth management corp. for more than 10 years and strategic advisor. Enthusiast of Blockchain, ICO, and fintech Industry. International Decentralized Association of Cryptocurrency and Blockchain and its offices worldwide (“IDACB”, “we”, “us” and “our”) are committed to safeguarding your privacy and ensuring that you continue to trust IDACB with your personal data. When you interact with us, you may share personal information with us that allows identification of you as an individual (e.g. name, email address, address, and telephone number). This is known as “personal data”. When you visit IDACB Sites, our web server automatically records details about your visit: for example, your IP address, the website from which you visit us, the type of browser software used IDACB Site pages that you actually visit including the date and the duration of your visit. Please see our Cookie Notice for information on these technologies and your rights in relation to them (See section 5). In addition, we process personal data that you provide through IDACB Sites, for example, when you enter personal details (e.g. name, gender, address, email address, phone/fax number) on a registration page or if you sign up for an email newsletter. IDACB may use the personal data that you provide to us with your consent for a specified purpose or when you interact with IDACB Sites or we process your data if we have legal basis, namely, with regards to your registration to IDACB events or your request of IDACB services. Furthermore, we operate (I) custom platforms, which are fully built and maintained by IDACB (“Custom Platforms”); and (II) cooperate with platforms which provide individual IDACB products or services, which are maintained and provided for by third-party providers (“Cooperation Platforms”), and (III) third party applications and services, which can be embedded or integrated into one of the platforms described under (I) or (II) (“Embedded Services”). IDACB public websites are the external-facing platforms for public engagement with IDACB and provide insights into IDACB activities, initiatives, projects and roadmaps. 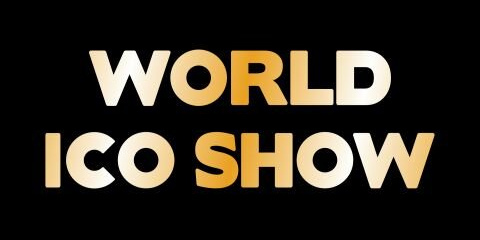 The public websites also provide other services such as a blog, articles of general interest and livestreaming services of sessions and events during the said events and sessions. IDACB public websites may also contain links or login options that connect to TopLink. The public websites use third party cookies for analytics (Google Analytics, Chartbeat, Parse.ly and mixpanel) and to track common metrics such as platform engagement, concurrent users, maximum number of users, time spent on a page, etc. Any use of such analytics cookies is to improve your user experience and provide IDACB with valuable information to help IDACB to better tailor our services to our partners, members, constituents and participants. IDACB does not knowingly solicit or collect personal data from children below the age of 18. If IDACB discovers that it has accidentally collected personal data from a child below the age of 18, it will remove that child’s personal data from its records as soon as reasonably possible. However, IDACB may collect personal data about children below the age of 18 years if authorized by the holder of parental responsibility over the child. We will share personal data with third parties outside of IDACB when we have your consent to do so. We require explicit opt-in consent for the sharing of any sensitive personal information. We may engage service providers, agents or contractors to provide services on our behalf, including to administer IDACB Sites and services available to you. These third parties may come to access or otherwise process your personal data in the course of providing these services. IDACB requires such third parties, who may be based outside the country from which you have accessed IDACB Site or service, to comply with all relevant data protection laws and security requirements in relation to your personal data, usually by way of a written agreement. We use two types of cookies on IDACB Sites: persistent cookies and session cookies. A persistent cookie helps us recognize you as an existing user, so it's easier to return to IDACB Sites or interact with our services without signing in again. In the event you sign up to one of our platforms, a persistent cookie stays in your browser and will be read by the service when you return to one of our sites. Session cookies only last as long as the session (usually the current visit to a website or a browser session). IDACB does not know the identity of a person based on the ID. The cookies used by IDACB do not contain any personal data about you nor are they used to look up your personal data. Even if you have entered personal data about yourself in one of IDACB’s registration forms, IDACB does not relate that information to the cookie data. IDACB has offices and facilities in Switzerland, the United States, Japa​n,​ China​, UAE, Russia and some other countries​. However, since the internet is not a 100% secure environment, IDACB cannot ensure nor guarantee the security of any information that the user may transmit to IDACB Sites. There is no guarantee that information may not be accessed, disclosed, altered or destroyed by breach of any of IDACB’s physical, technical or managerial safeguards. All IDACB employees who have access to and are associated with the processing of personal data are obliged to respect the confidentiality of all such personal data. You have a right to request access to your personal data. You may send us a request for access, provision of such information will be subject to the supply of appropriate evidence of your identity. You also have the right to request that IDACB corrects any inaccuracies in your personal data. You have the right to opt out of receiving marketing communications or any other information from IDACB or about IDACB events and can do so by (a) following the instructions for opt-out in the relevant marketing communication or (b) by contacting us. 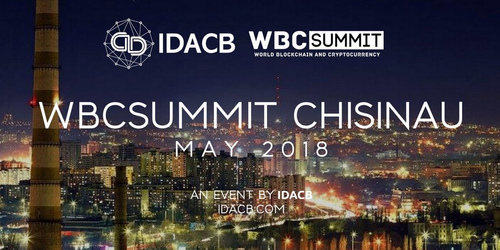 IDACB Fund is created by the international community members of IDACB to construct a bridge between traditional investments and new decentralized economy. IDACB fund represents a hybrid between an open-ended SUPPORT FUND and a STABILITY FUND, started with an initial seed capital of $5 million raised among the founders and company executives, and attracting up to $300 million in the process of funding. IDACB STABILITY FUND will be a passive investment vehicle tracking a customized cryptocurrency index and supporting optimized risk/return profile due to diversification opportunity of the largest crypto assets by market cap. IDACB SUPPORT FUND operating as crypto asset new investment division, will make large investments, ranging from $0,5 - $1 million, throughout the capital stack with a hedge fund approach to the perspective blockchain projects at the private sale and pre-ICO stage, as a long / short crypto strategy. IDACB Advisory Group will track all hedge-part fund investments, providing high level of transparency and expertise for investors. IDACB Fund will open accounts with reputable banks in Switzerland and Liechtenstein. By storing the crypto assets at banks in Switzerland and Liechtenstein, we ensure the highest standards of cryptographic, IT and physical security. IDACB Fund believes that verifying instruments such as due diligence, analysis, and transparency are the key to successful investment and long-term stability of the blockchain ecosystem. Thus, IDACB fund as a mutual index fund will be a passive investment vehicle. Providing objective analysis, it will track a customized cryptocurrency index and support optimized risk/return profile due to diversification opportunity of the largest crypto assets by market cap. We focus you on instruments that we believe to be in high demand, liquid and a candidate for significant capital gain. IDACB COMPANY membership is created for organizations that wish to take advantage of the benefits beyond that of individual memberships such as displaying their company logo and links on the IDACB website and social media and applying to become IDACB partners and supporters. IDACB Membership is created for talented and successful entrepreneurs, businessman, investors, trainers, lawyers that wish to take advantage of the benefits of individual memberships such as displaying the personal photo, CV and short resume on the IDACB website and social networks, the opportunity to be connected with other members at international and local levels events and take part at national workshops on a variety of topics. IDACB PROFESSIONAL membership helps to run the organization better and find sufficient partners. The duration of membership is not limited but the association reserves the right to deprive a person of membership in case of incorrect behavior within the community. IDACB EXCHANGE APPROVED is a special membership for safe services that wish to take an advantage of the benefits such as safety and reliability certification that is carried out by a special commission of experts and recognized among all the country-members. The Exchange service logo and link are placed on the IDACB website as “Approved”, the duration of membership is limited to the 1 year period. 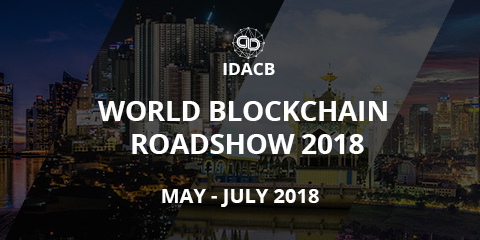 IDACB ICO ADVISORY BOARD is a body, that unites the best ICO entrepreneurs, professionals, high-level experts in major blockchain spheres from 100 countries. Members of IDACB ICO ADVISORY BOARD are committed to provide valuable support to ICO projects for consideration and decision making, defining the project's development strategy, making them transparent through participation in ICO Advisory Boards. OFFICIAL IDACB ICO Advisor is exempt from payment of membership fees. EXECUTIVE IDACB ICO Advisor gives more opportunities to be invited by ICO, but needs a prove of result participation in more than 3 ICO and include annual fee. Becoming an official Executive Advisor for a project is worth investing and it brings future bonuses and builds a decent reputation. Every IDACB ICO ADVISOR should have a contract for each participation in ICO with IDACB.